Headed by Chief Justice Ranjan Gogoi, the bench will also comprise of Justices S A Bobde, N V Ramana, U U Lalit and D Y Chandrachud. New Delhi: A five-judge Constitution bench of the Supreme Court is scheduled to hear on Thursday the politically-sensitive case of Ram Janmabhoomi-Babri Masjid land title dispute in Ayodhya. Headed by Chief Justice Ranjan Gogoi, the bench will also comprise of Justices S A Bobde, N V Ramana, U U Lalit and D Y Chandrachud. As many as 14 appeals have been filed in the apex court against the 2010 Allahabad High Court judgement, delivered in four civil suits, that the 2.77-acre land be partitioned equally among the three parties — the Sunni Waqf Board, the Nirmohi Akhara and Ram Lalla. The apex court on October 29 last year had fixed the matter in the first week of January before the “appropriate bench”. Later, an application was moved for according an urgent hearing by advancing the date, but the top court had refused the plea, saying it had already passed an order on October 29 relating to the hearing of the matter. Various Hindutva organisations have been demanding an ordinance on early construction of Ram temple at the disputed site. 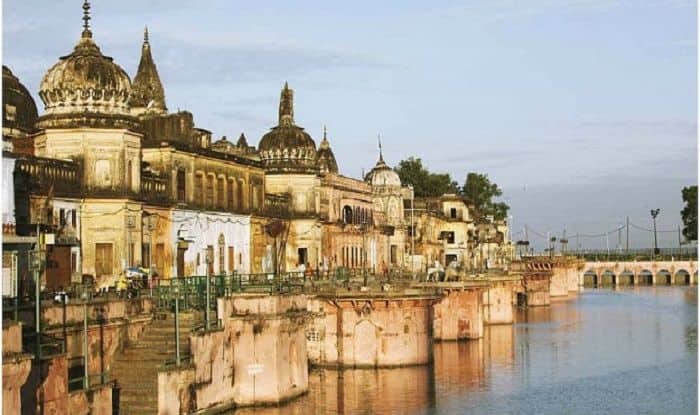 Recently, Prime Minister Narendra Modi had suggested that any decision on an ordinance on Ram temple in Ayodhya can happen only after the completion of the judicial process. Modi’s comments had come amidst heightened demands by Hindutava organisations, including the RSS, for an ordinance for an early construction of the temple. “Let the judicial process take its own course. Don’t weigh it in political terms. Let the judicial process be over. After the judicial process is over, whatever be our responsibility as government, we are ready to make all efforts,” the prime minister had said during an interview, broadcast by several TV channels. The apex court on October 29 had fixed the matter in the first week of January before the "appropriate bench". The newly set up five-judge bench comprises not only the incumbent CJI but the four judges who are in line to be CJI in the future. Recently, PM Modi had suggested that any decision on an ordinance on Ram temple in Ayodhya can happen only after the completion of the judicial process.